What makes Princeton Orthopaedics different from other treatment centers is its nonsurgical approach to back and neck problems. Most spine treatment centers are directed by surgeons who favor the use of spine surgery to treat spinal injuries. Princeton Orthopaedics includes fellowship-trained orthopedic spine surgeons and physical medicine and rehabilitation doctors who help patients with nonsurgical treatment options. These specialists have advanced training in the treatment of back and neck pain and are successful in helping people return to activity – without surgery. Princeton Orthopaedics takes a multidisciplinary, team approach to spine care, involving both surgical and nonsurgical spine physicians. This team of professionals works together to develop the best treatment for each patient. We provide all the necessary diagnostic testing and treatment in one place, eliminating the need for multiple referrals, delayed care and overall confusion. Sometimes surgery is the best treatment option fir spinal injury, especially for those suffering from herniated discs, spinal fractures, spinal deformities, spinal tumors and scoliosis. However, it is estimated that over half of back surgeries performed are unnecessary, and in some cases, even counterproductive. 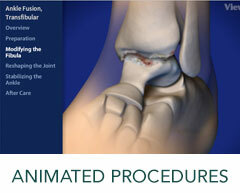 At Princeton Orthopaedics surgery is used as a treatment option only after nonsurgical treatments have been exhausted. When surgery is necessary, our surgeons are highly trained and proficient in the latest minimally invasive and conventional techniques for spine surgery. To learn more about our Spine Services, please contact us today to schedule an appointment!